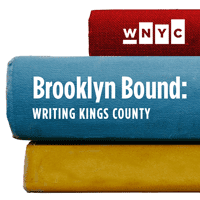 Join WNYC for a panel conversation with four of Brooklyn's best new emerging writers! Brooklyn has been inspiring writers for as long as there's been a Brooklyn. Four emerging Brooklyn-based writers will discuss their debut works that bring to life Ukrainians in Brighton Beach, teenagers in Bed-Stuy, residents of Marine Park and literary lions of the borough's past. Featuring authors Evan Hughes (Literary Brooklyn), Yelena Akhtiorskaya (Panic in a Suitcase), Jason Reynolds (When I Was the Greatest), and Mark Chiusano (Marine Park: Stories). The Takeaway's Mythili Rao hosts this official Brooklyn Book Festival event at the Brooklyn Museum.